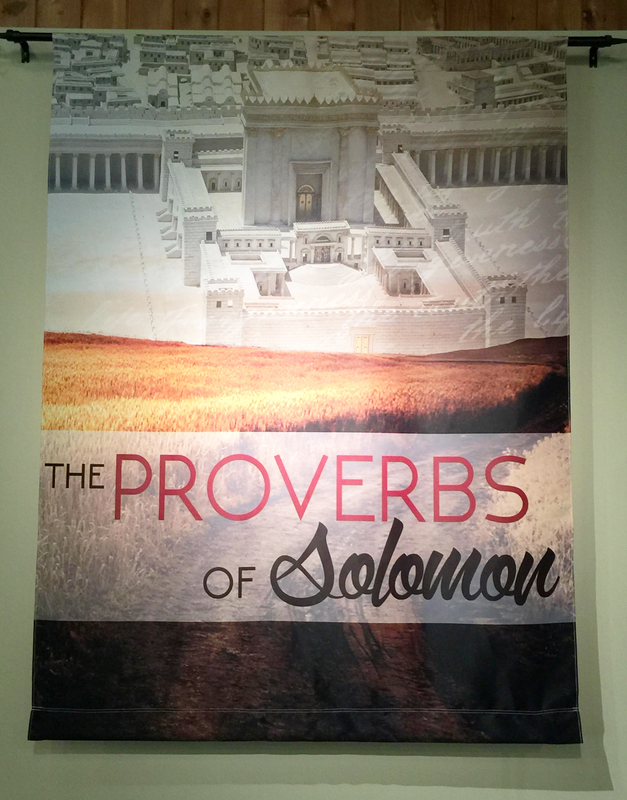 Beautifully printed fabric banners really can make a statement. 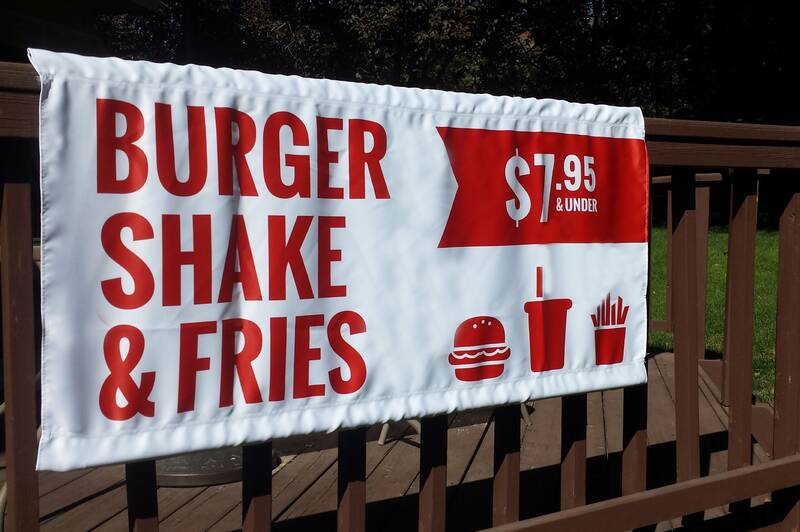 Because of their relatively inexpensive cost (compared to other sign types), fabric banners have many uses. We’ve compiled a list here, but these are nowhere near all the amazing things you can do with this versatile product. Take a look at just a few of our favorite ways to showcase these beautiful signs. Our fabric banners are printed using a 100% polyester fabric. The fabric is washable and wrinkle free. 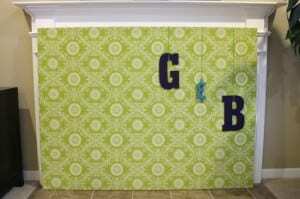 Fabric banners are great options for indoor signage displays. The tightness of the weave allows for beautiful print quality with an estimated lifespan of one year. Because our fabric banners can come with pole pockets or grommets, you can easily install them using poles, zip ties, rope, bungee, or curtain rods. Care is also a breeze. Simply machine wash and hang dry your banner when it needs a cleaning. 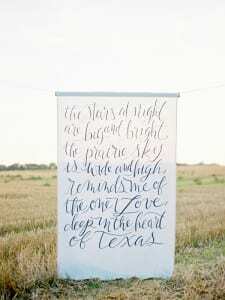 If you need to store your banner, fold it carefully and store in a cool, dry place. 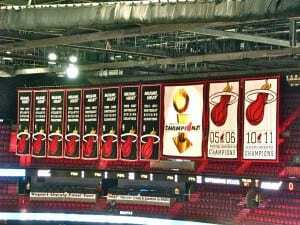 Be sure that your banner is completely dry before storing it. If not, mold and mildew can grow on the fabric. Fabric banners should not be exposed to the elements and are recommended for indoor signage or for short term outdoor use. 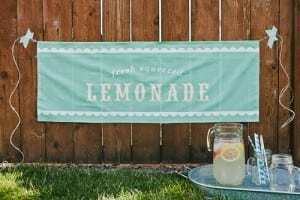 Direct sunlight can damage the color and excess exposure to water can damage the woven fibers of the banner. Few things look more elegant hanging in a storefront window than a fabric banner. Many business owners choose to advertise sales, explain services, or display product photos using fabric banners. 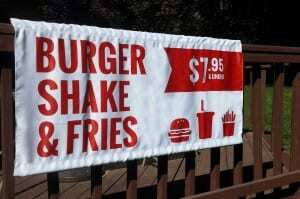 Business owners can greatly benefit from the use of fabric banners. Because of the many options offered by Signs.com, there are lots of ways to install and hang these banners. Grommets come free with all of our banners so that the banner can easily hang using rope, zip ties, or bungee cords. 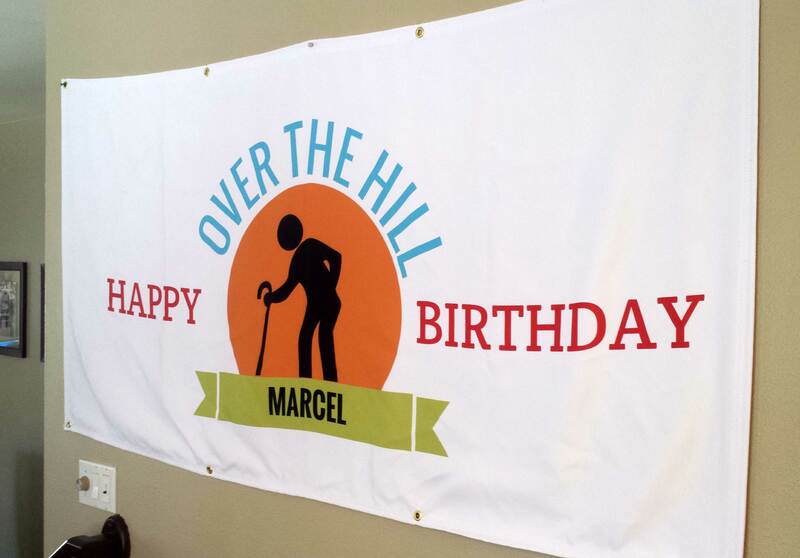 Alternatively, you can order a fabric banner with pole pockets for simple hanging. 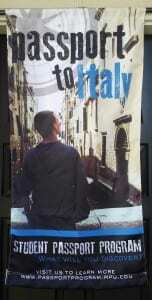 Because of the tightly woven fabric, fabric banners are printed with color accuracy and rich, beautiful colors. Many business owners choose to showcase their photos on this versatile material. Adding your product photos or images of your service to this material will definitely catch customers’ eyes. Business logos look stunning on fabric, capable of being showcased in offices, lobbies, or conference rooms. They make a great option for temporary signage because of their capacity for easy storage. 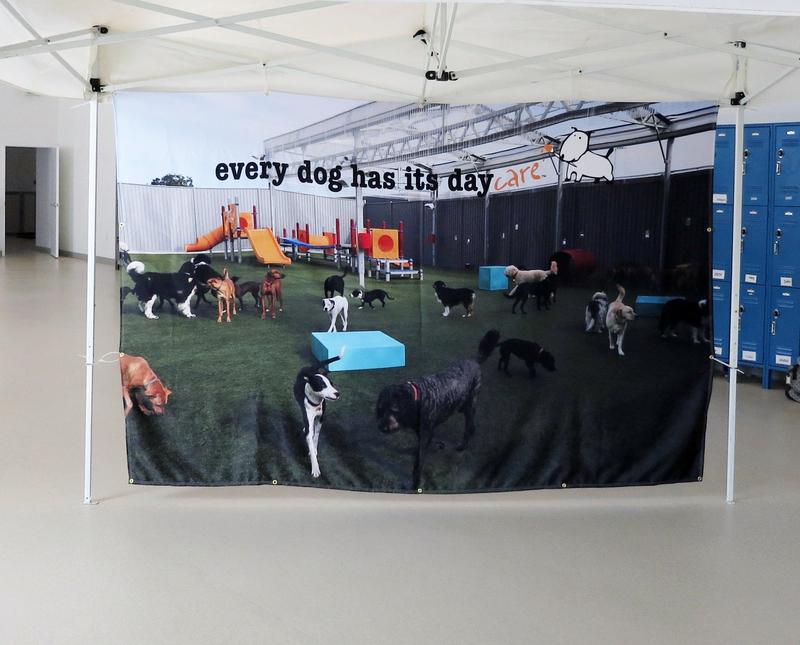 Since they can be stored and transported so easily, fabric banners can be used at tradeshows, hung behind a booth or as the showcase of a pop-up tent, as is the case with “Every Dog Has It’s Day Care”. 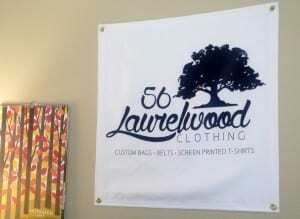 Lauren Westreich used her fabric banner to spice up her tradeshow booth and attract new clients. She simply used zip ties to secure her fabric banner to the edges of her tent. 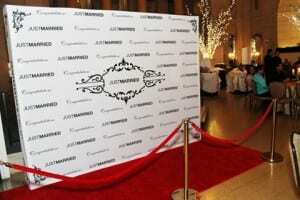 Or, showcase your logo on a fabric step-and-repeat banner. They’re perfect for photo ops and, of course, red carpets! Sometimes designing for businesses isn’t always the easiest. We understand. We’ve created a variety of business templates for you to use to promote sales, announce events, or showcase products. Still need help? No worries. We offer free design services to get you going. 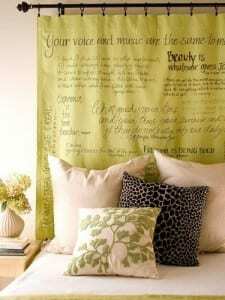 Fabric tapestries and banners are showing up more and more often in home decor. 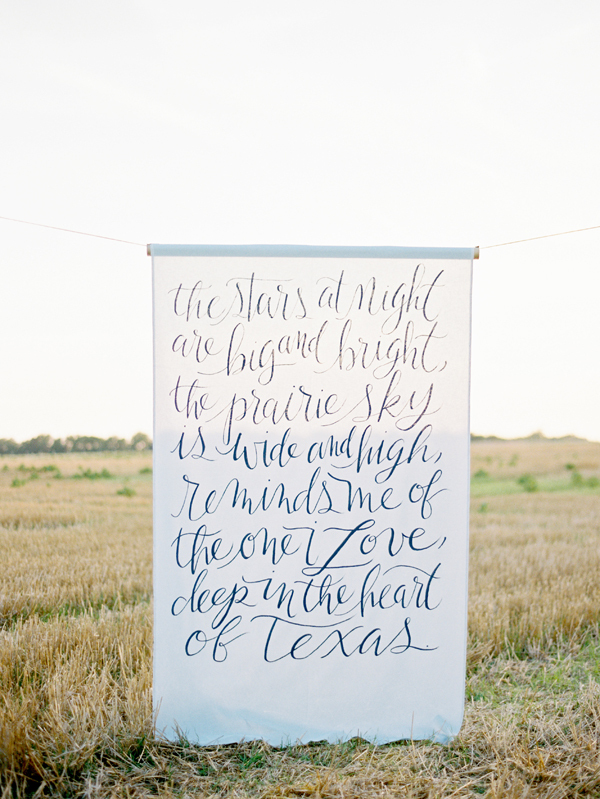 Fabric banners can make a unique statement in any home. 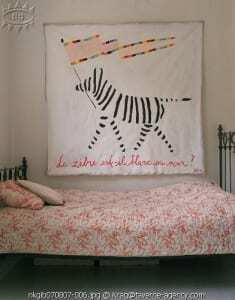 Add fun and flair to a bedroom by creating a unique fabric headboard, a project frequently trending on Pinterest. 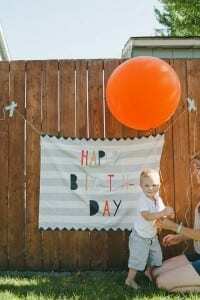 Save time and money by hanging the fabric banner from a curtain rod. 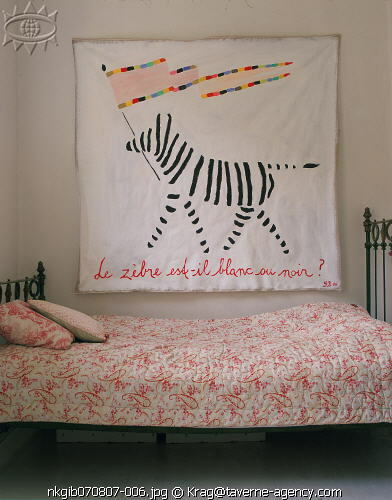 Designer home tapestries can sell for more than $600! At Signs.com, you can customize your own of the same size for half that price! 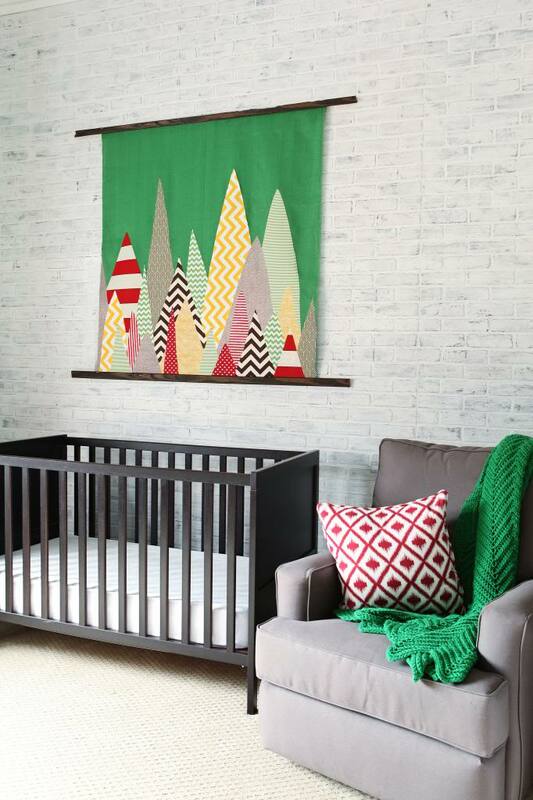 Images of unique family memories, or fairytale backdrops add excitement to a kids’ bedroom. Even simple graphics over a crib can add a statement. 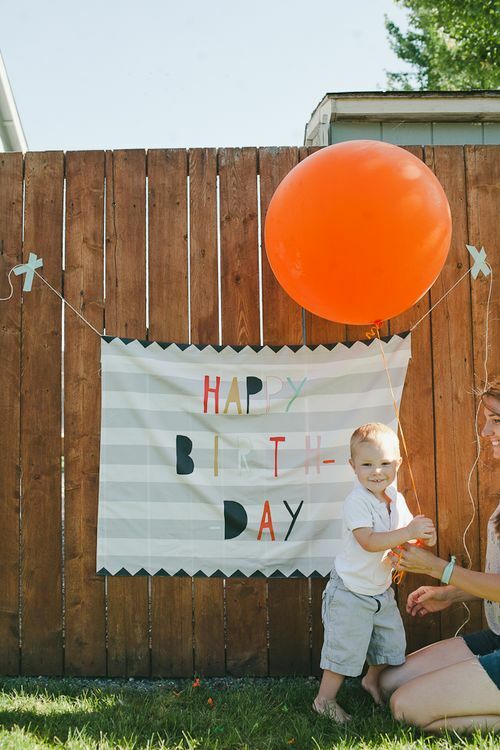 Because our fabric banners are completely customizable, you can create something unique that still matches your style. They’re perfect for any home! Churches, schools, and other not-for-profit companies can use fabric banners as a wall display or a beautiful reminder. Compared to many other types of signage, fabric banners are relatively inexpensive, making them a great option for customers with a smaller budget. 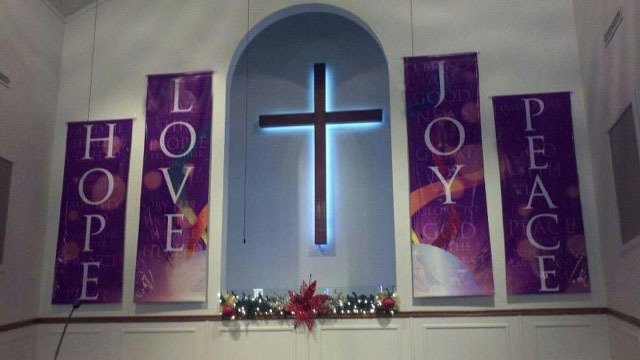 Susie surprised her Pastor with an updated look for his church office. Her fabric banner looks great hanging from a curtain rod. Their great price allows them to be changed and replaced more frequently, making them ideal for quick marketing campaigns or event signage. 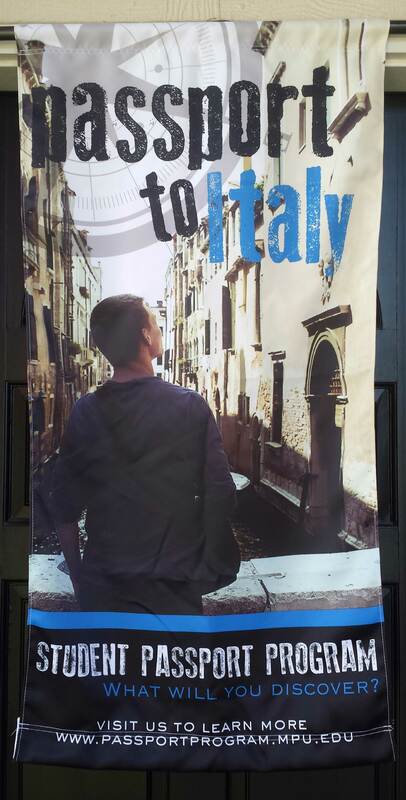 These fabric banners with pole pockets make great school tour announcements. Signs.com also offers a variety of templates for non-profit entities like churches and schools. Templates are a great way to get started on a one-of-a-kind design. 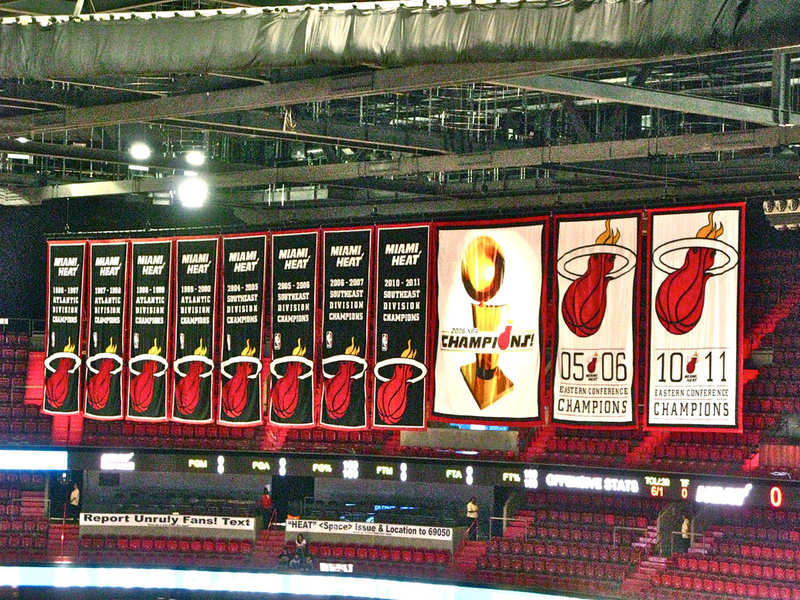 Fabric banners are making an appearance in sports stadiums and arenas around the country. Probably the most recognizable sport stadium fabric banners are the banners that hang from the rafters celebrating championships, broken records, and players. Or, you may have spotted a fabric banner or two welcoming a football team onto the field. 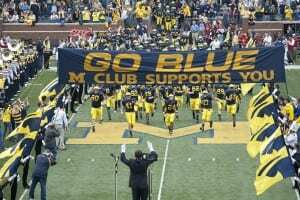 But, you don’t have to be a sports star to take advantage of everything fabric banners have to offer. They are lightweight, which makes them ideal for installing and transporting. 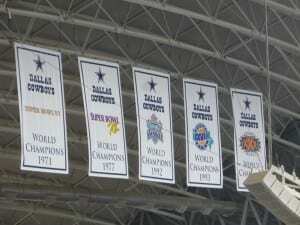 And, yes, you definitely do need a one-of-a-kind Dallas Cowboys fabric banner for your man cave. Trust us. What better way to celebrate your loved one than with an extraordinary fabric banner. 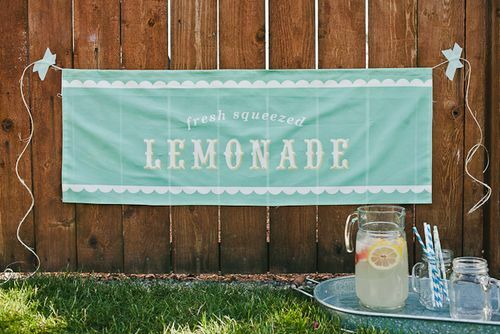 Spruce up any event using fabric banners as decorations. Since they fold so nicely, they can be stored and used year after year. Just look at that smile! Or, celebrate a monumental birthday! 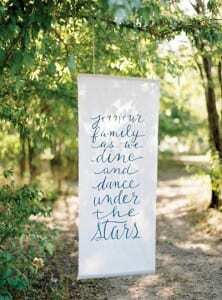 Fabric banners can even be used as unique wedding signage, sending a loving message to your guests, directing them to their seats, or encouraging them to enjoy the evening. 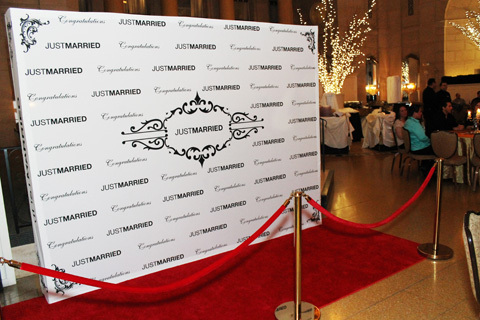 Alternatively, use a fabric banner as a photo booth backdrop to give your guests something to really talk about. At Signs.com, we offer many templates and custom design options for you to create exactly what you’re looking for. 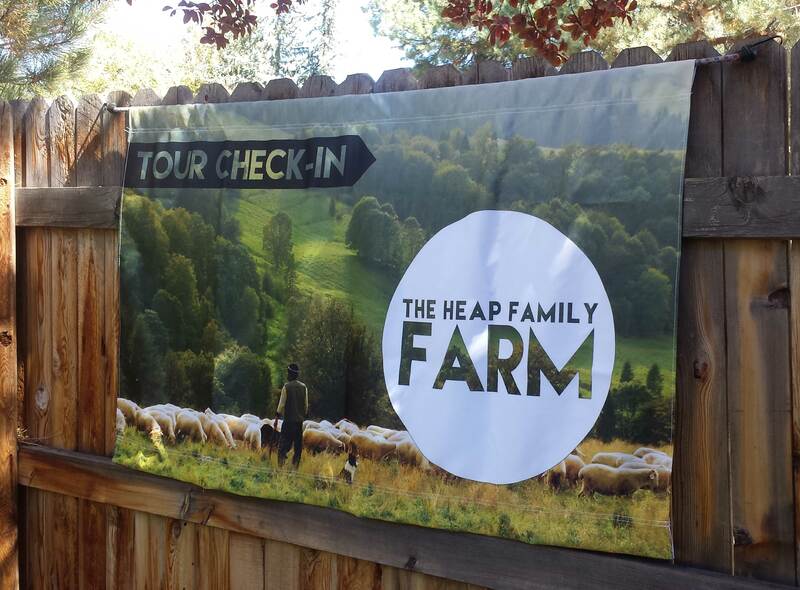 Creating custom fabric banners has never been easier. Browse our template library or contact us for design help. We’re always ready to help you with your next project.